Goals: Invite viewers to play with those “crazy squares” for a unique and surprising interaction. 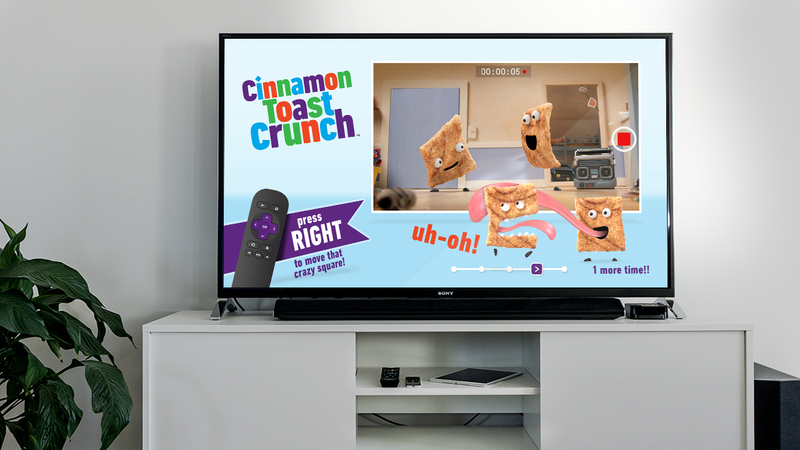 Overview: I brought General Mills’ “crazy squares” to the living room via a fun and engaging in-stream experience. Viewers use their remotes to move the “hungry square” across the screen to “eat up” the seemingly oblivious square on the other end, but things aren’t what they seem, and the hungry square may be in for a surprise when it reaches its intended meal.